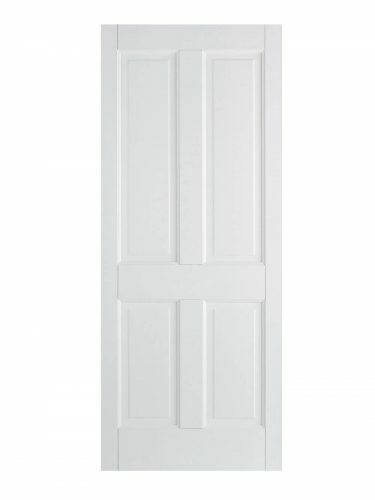 Classic Georgian four panelled door. 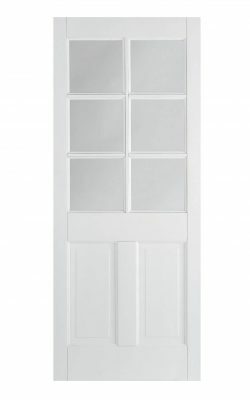 White primed: ready for your final treatment of choice. Six light glazed variant to match. White Canterbury 4P. 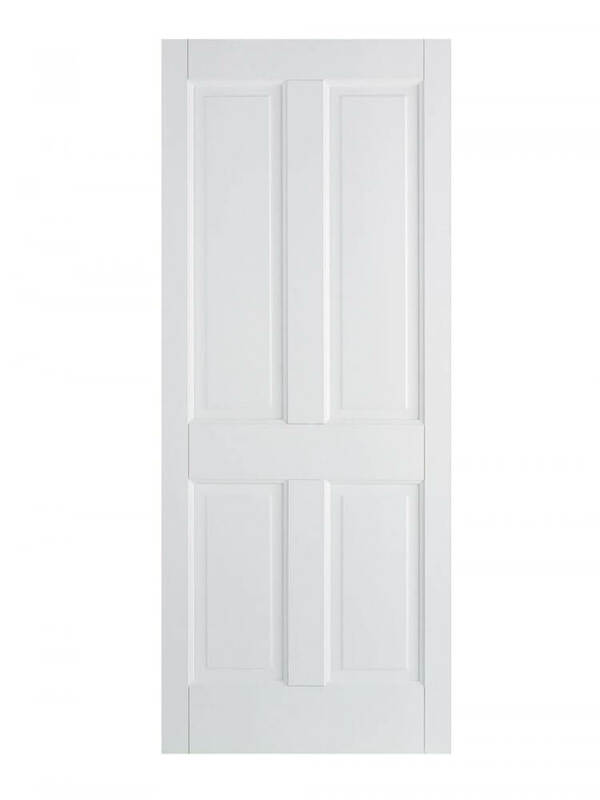 The classic Canterbury door design features four rectangular raised shaped panels with a primed solid core and a white finish.